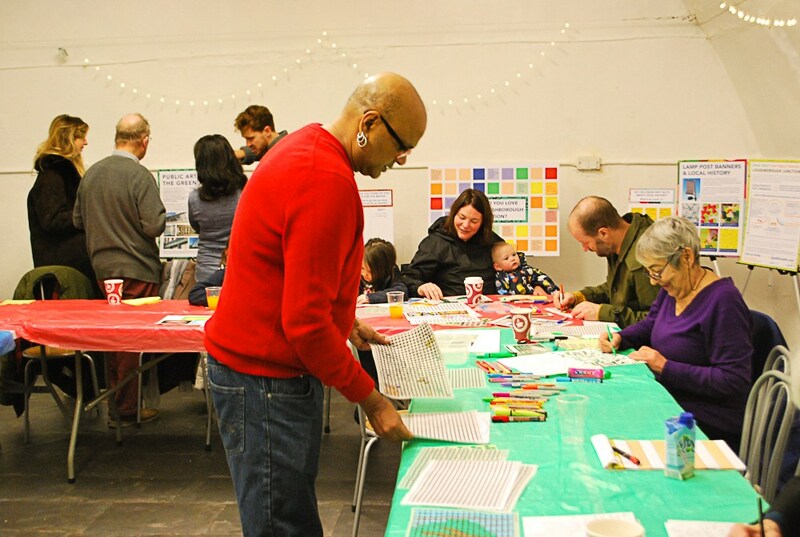 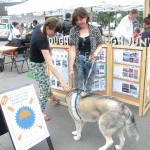 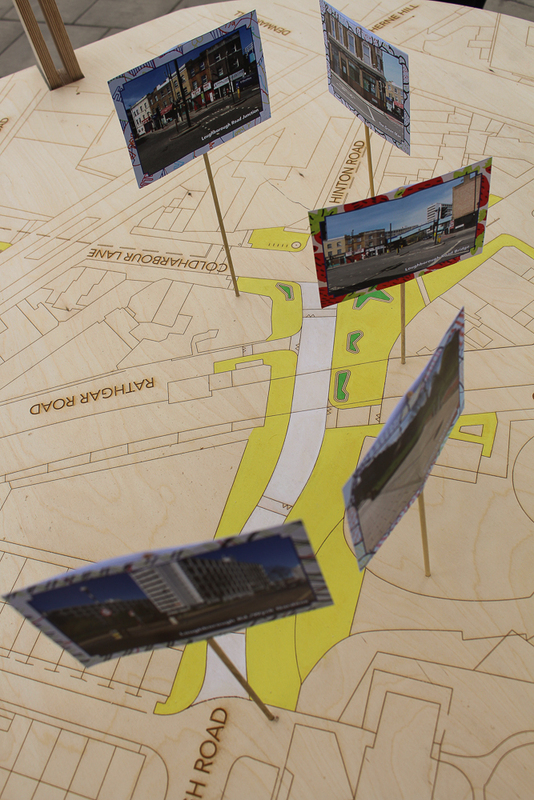 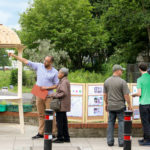 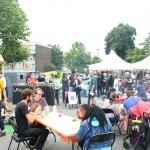 In Spring 2016 make:good were commissioned by Lambeth Council to find out what residents priorities around improving public space in Loughborough Junction. 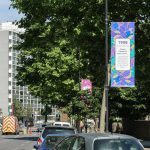 The aspiration was to make it a safer and more pleasant place to live and help the area become a destination in its own right. 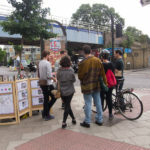 With the background of an unsuccessful scheme, involving unpopular experimental road closure, strong reach and positive participation were extremely important. 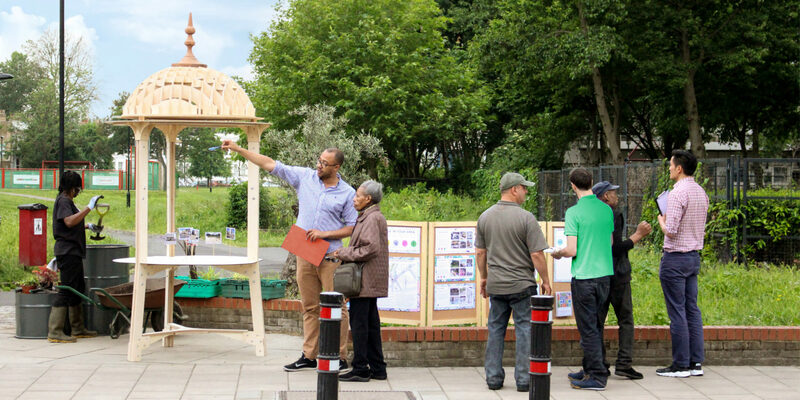 As such we went to where local people would be, making it fun and exciting in order to speak to a wide range of residents who might not attend a more formal ‘consultation event’. 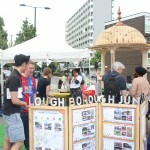 and Enhancing nature and greenery. 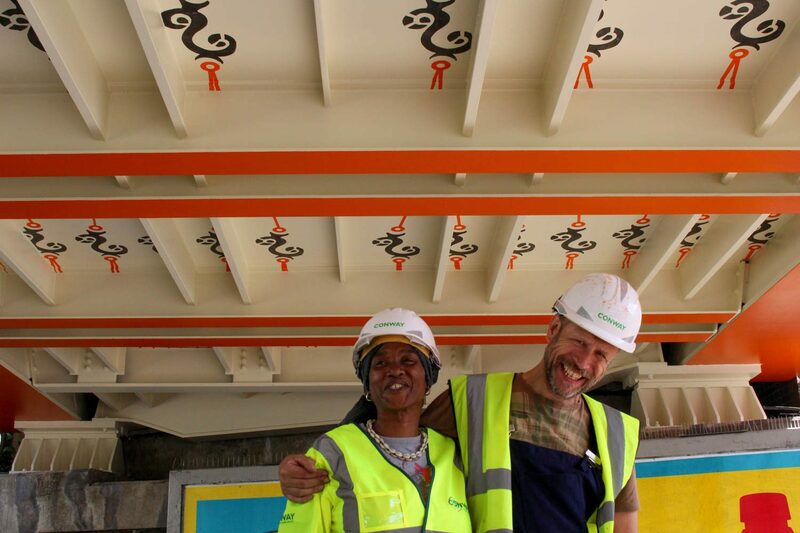 Later that year we were asked to work with local people to design public art that would help deliver on the priority around boosting the identity of the area, with an emphasis on turning the bridge into a feature. 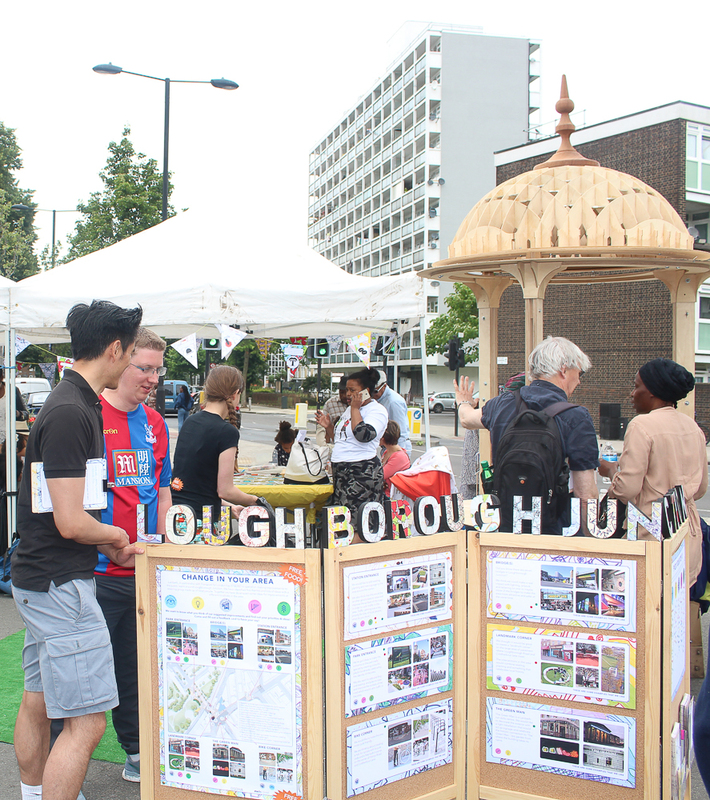 During Summer 2016 we held several on street pop-ups at key locations around the area. 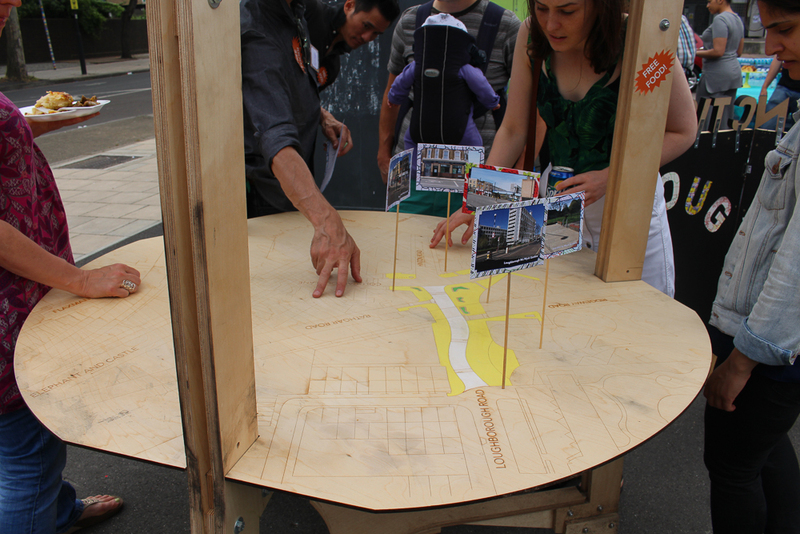 We used a large bandstand with map of the area, and a fold out display topped with patterned lettering designed by local schoolchildren as our main curiosity drivers. 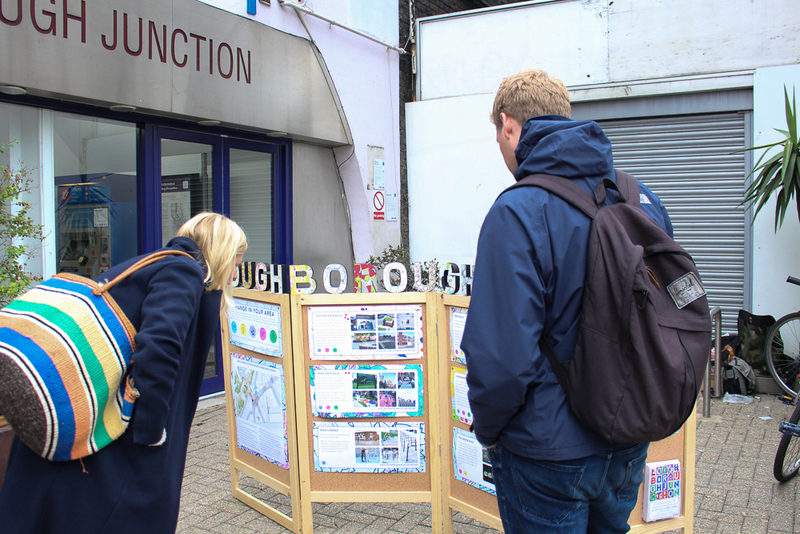 The main questions we wanted to know were what people loved about the area, and which priorities were most important to them fro the council to spend their budget on. 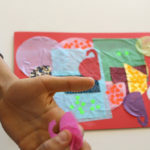 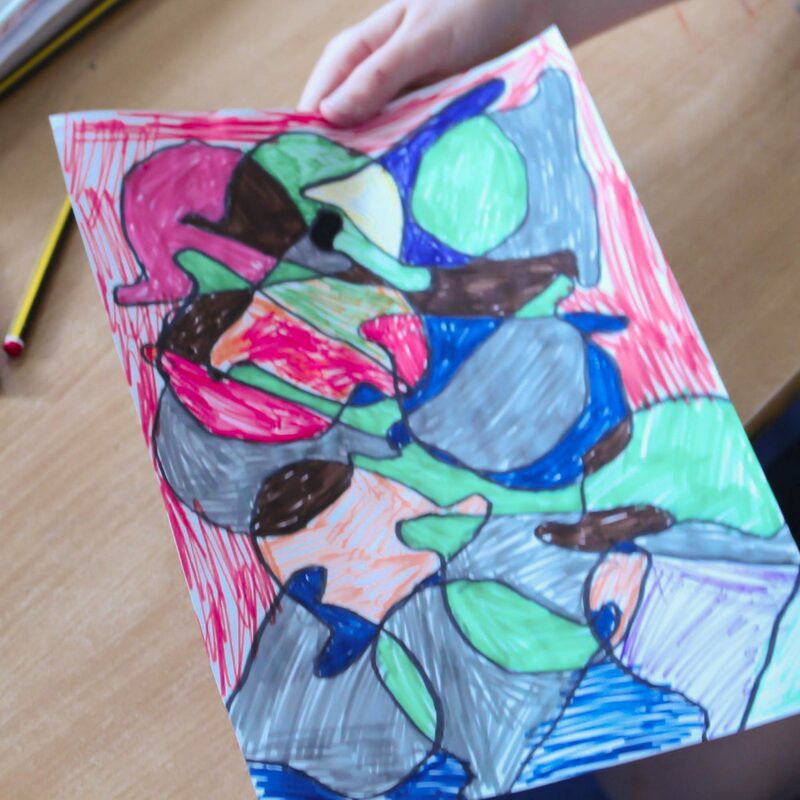 We ran workshops in three local primary schools and a local SEN school looking at the history of the area and creating repeat patterns to represent it. 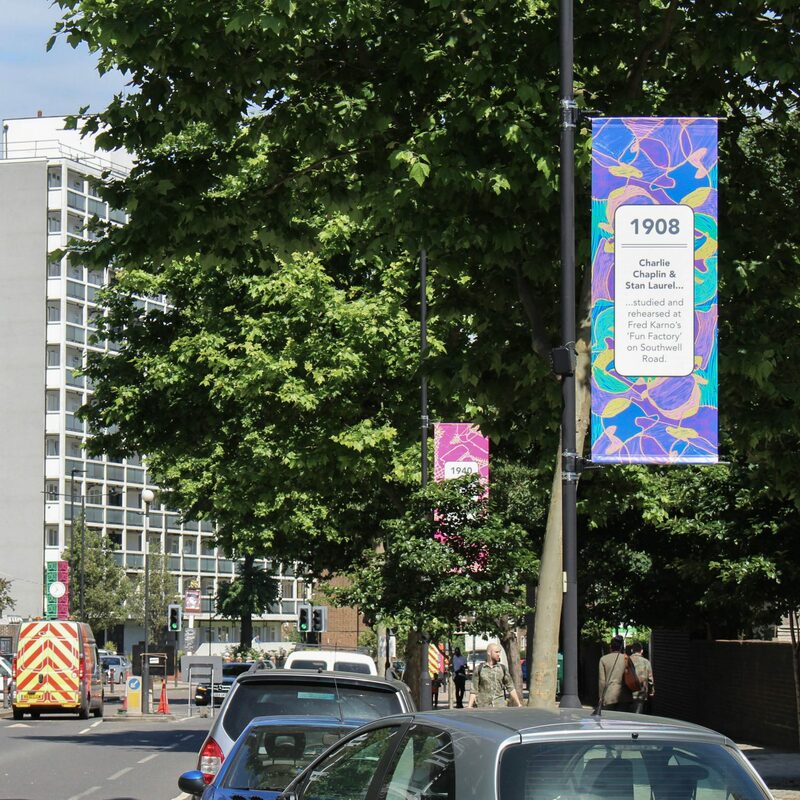 These became the backdrop for our historical banners. 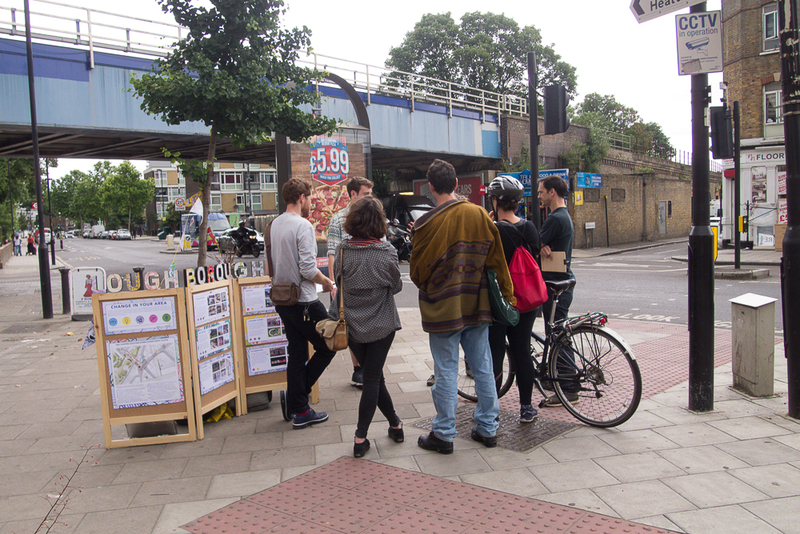 We also held a public shimmer wall design workshop. 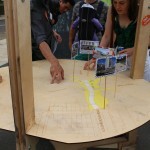 For the Bridge there was a series of workshops and meetings with the local artists to bring the design together. 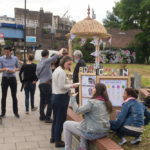 As well as our co-design workshops, throughout the process we supported local initiatives and businesses in the work we did. 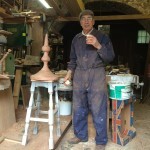 The finial for our bandstand was made by a local wood turner. 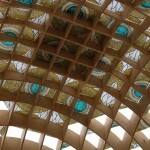 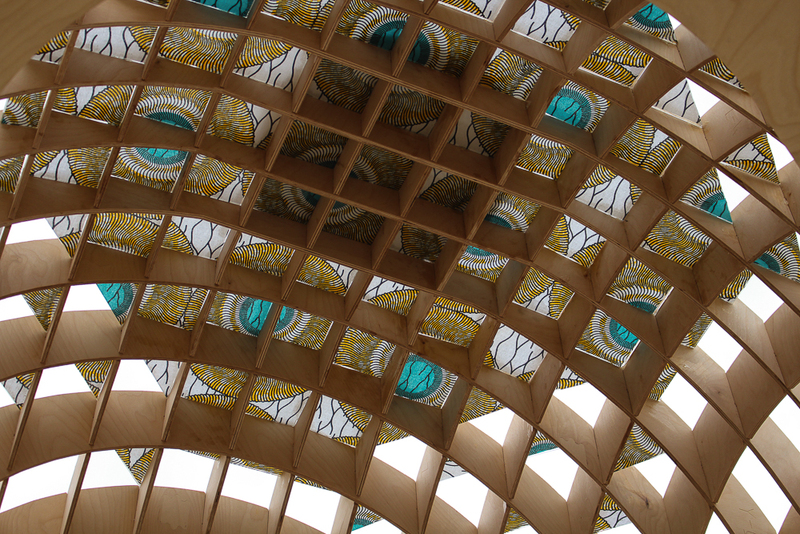 The fabric for the transparent roof tiles was bought from local shop Frikal Fabrics. 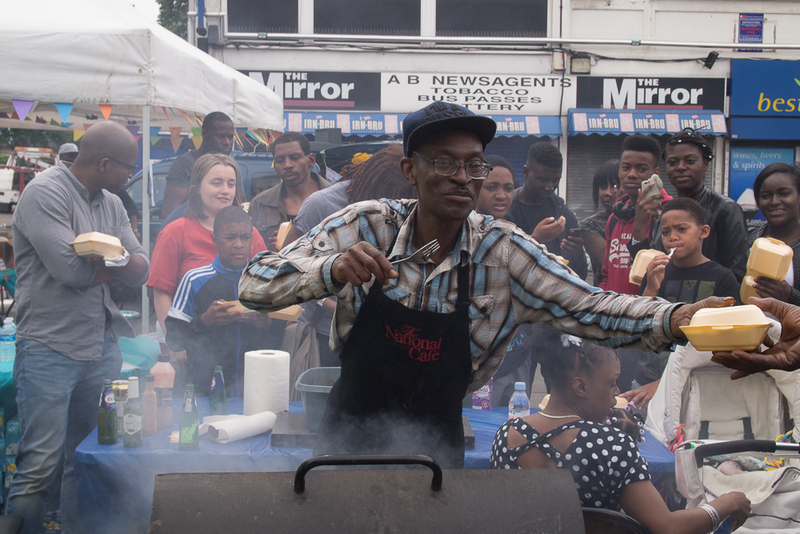 We enlisted the help of several local chefs and restaurants to cater our celebration event. 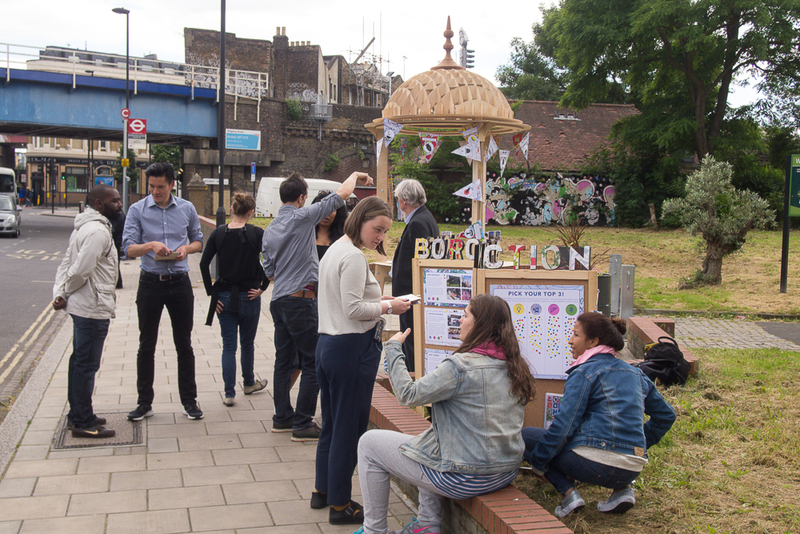 When it came to designing our public realm interventions we collaborated with 10 local artists and The 7 Bridges project to help them realise their second Art bridge in the area. 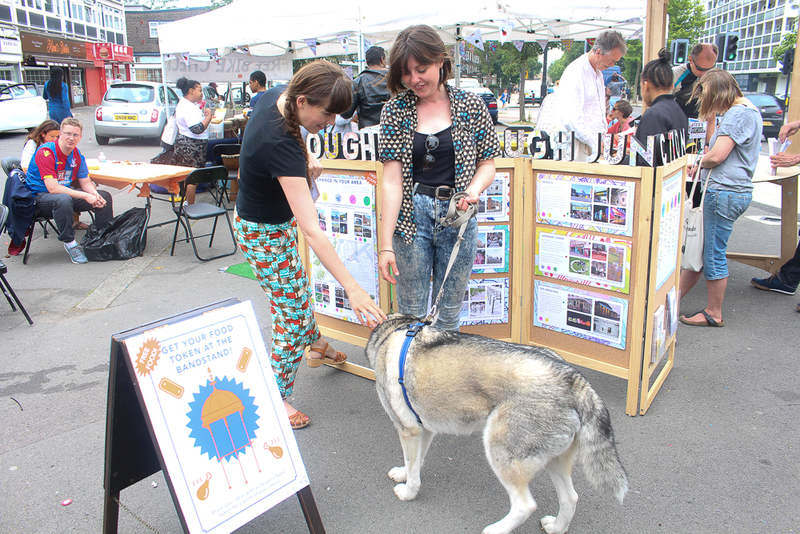 Local Carnival design company Sunshine International Arts also helped us design our shimmer wall, which was even fabricated by a man who grew up locally. 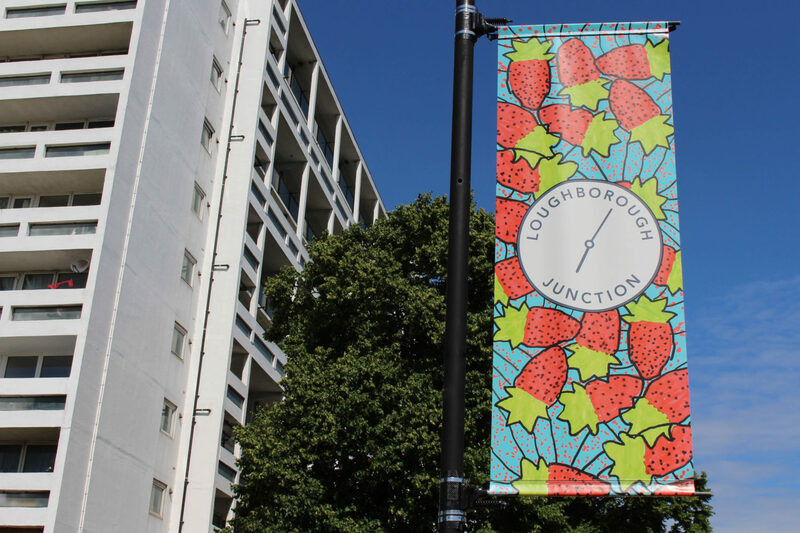 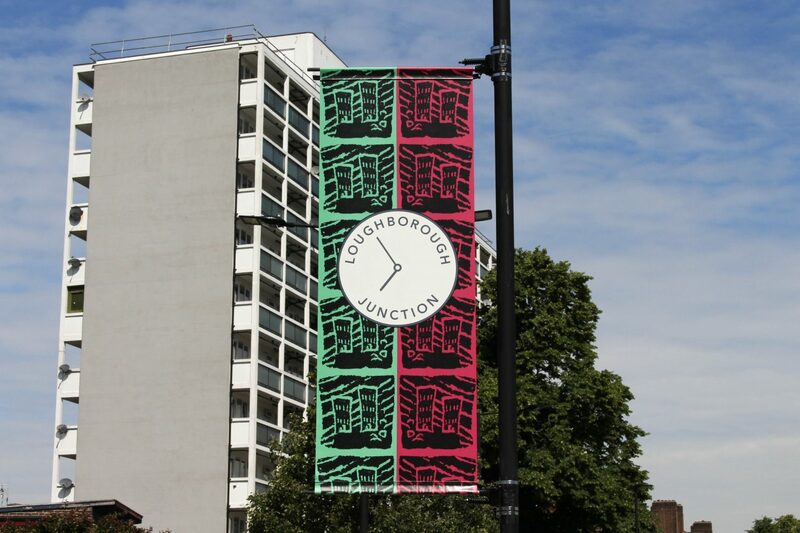 The banners act as an on street timeline, giving fun and interesting snapshots into Loughborough Junctions past. 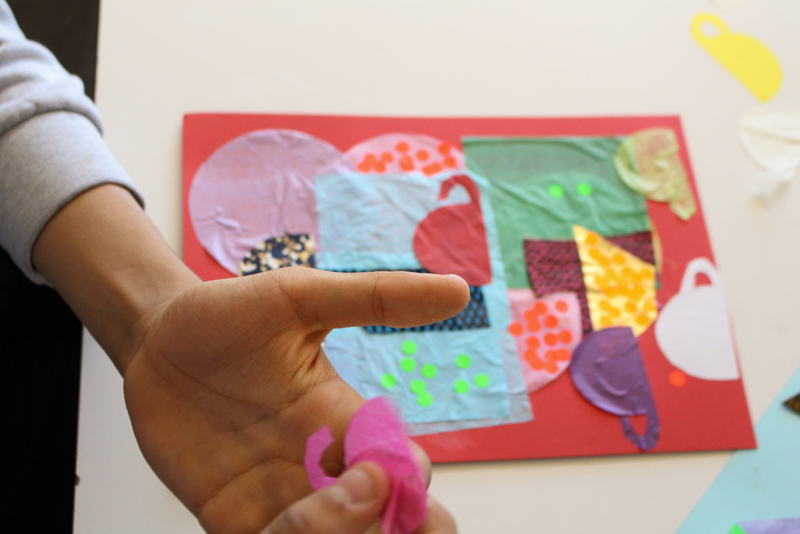 The vibrant repeat patterns were designed with the help of more than 100 local children form Jessops primary, Saint Saviours, Loughborough Primary and Michael Tippett School. 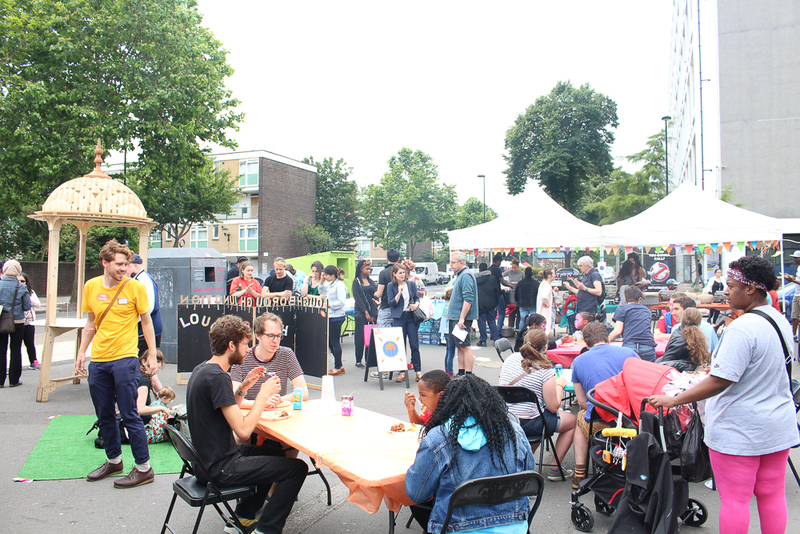 Our shimmer wall is above the Green Man Skills Zone on the corner of Coldharbour Lane and Hinton Road. 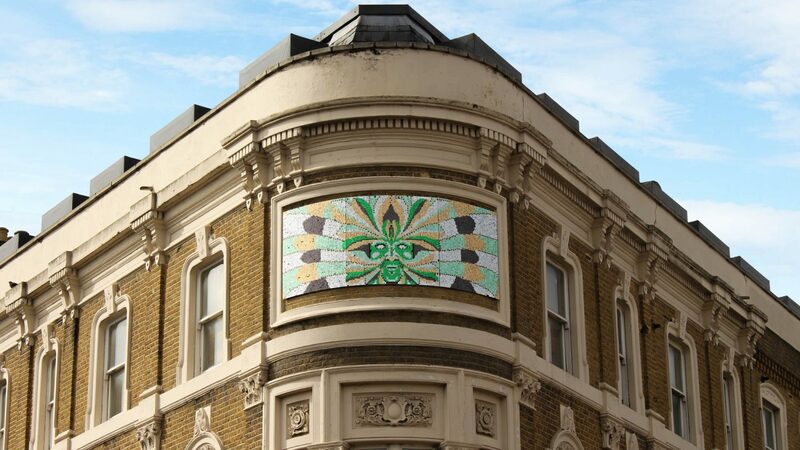 The former pub building, now offers training and support to get Lambeth locals into work or further education. 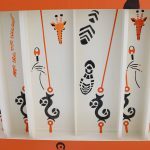 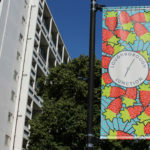 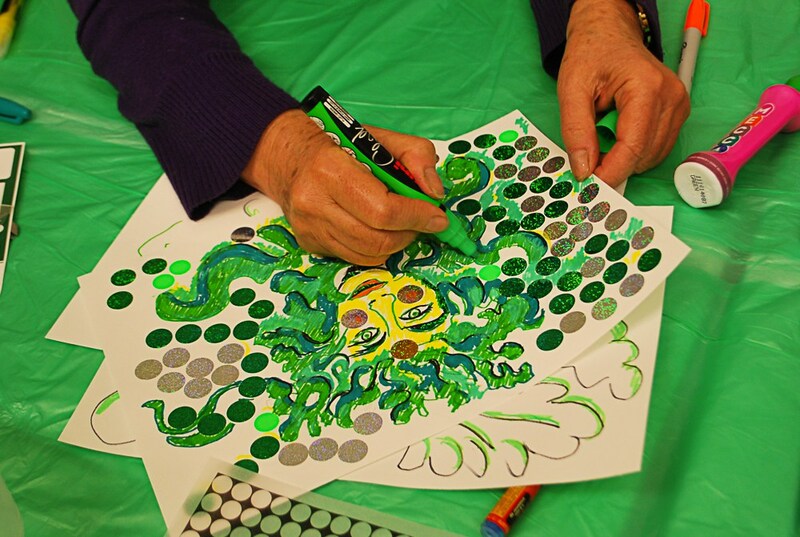 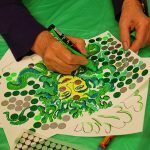 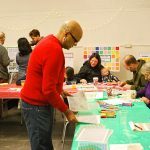 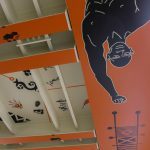 The design was created with the help of more than 40 local residents who attended our public co-design session with Sunshine International Arts. 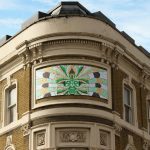 The design takes it’s motif from traditional stonework representations of the mythical ‘Green Man’ who symbolises spring and rebirth, apt not only for the function of the building it adorns, but also the wider change and improvements taking place in the area as a whole. 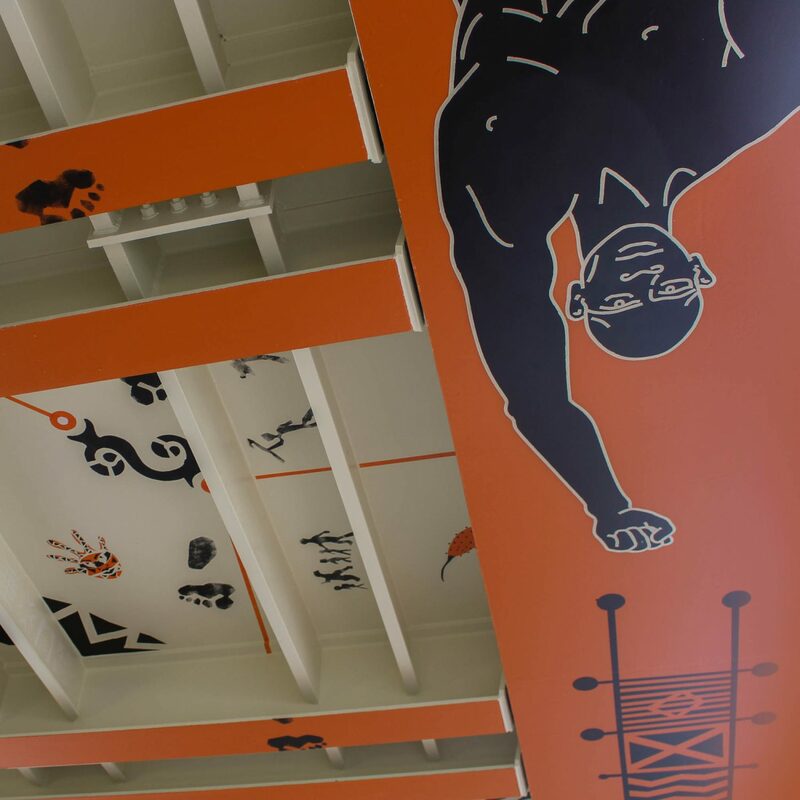 We collaborated with local arts initiative 7 Bridges to produce this design. 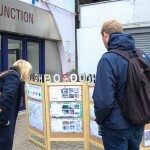 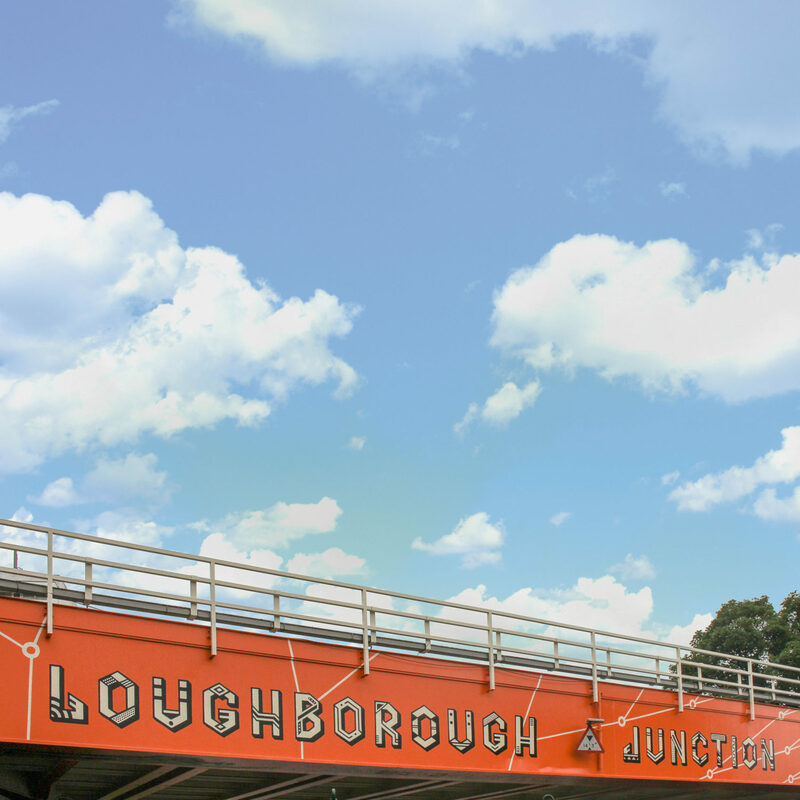 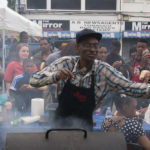 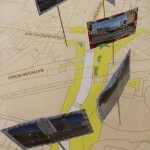 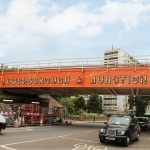 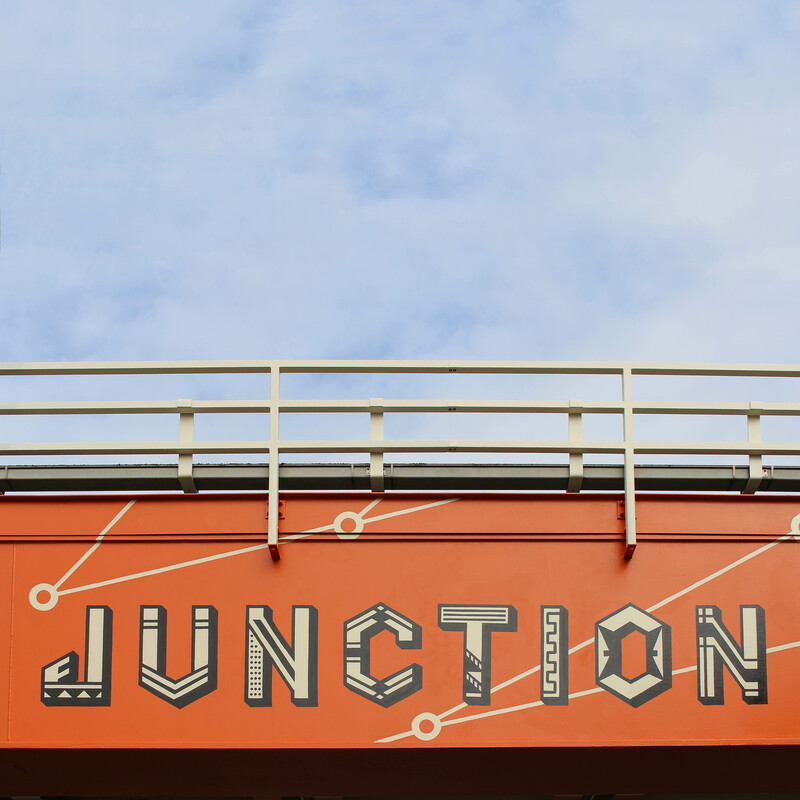 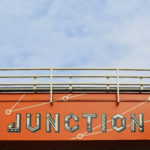 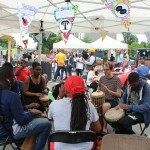 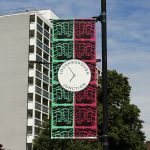 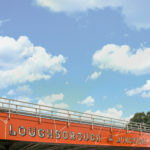 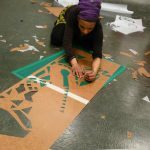 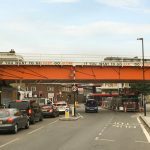 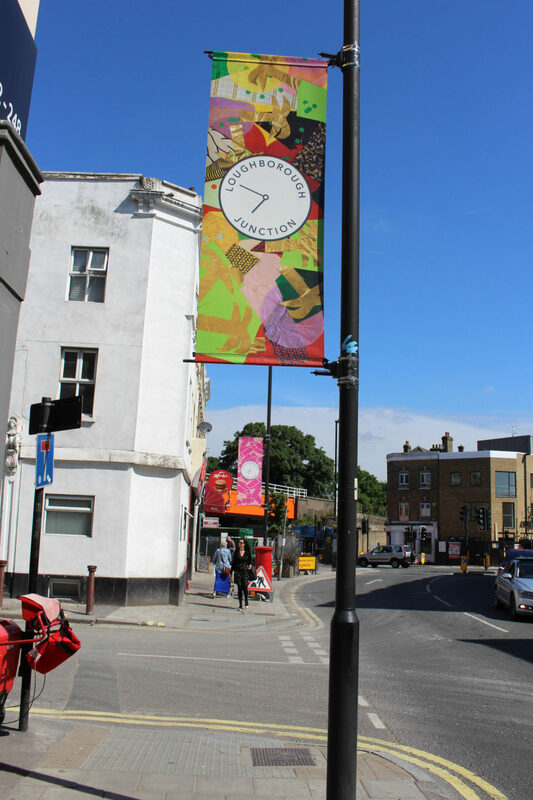 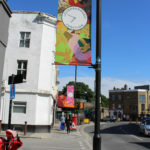 Their ambitious, arts-led regeneration plan is to transform all of the bridges in Loughborough Junction into works of art that celebrate connectivity with different cultures and continents. 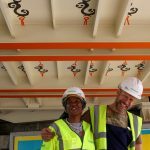 The bespoke lettering is inspired by patterns and geometric forms found in contemporary African fabric designs, much like those sold in ‘Frikal fabrics’, located under the bridge. 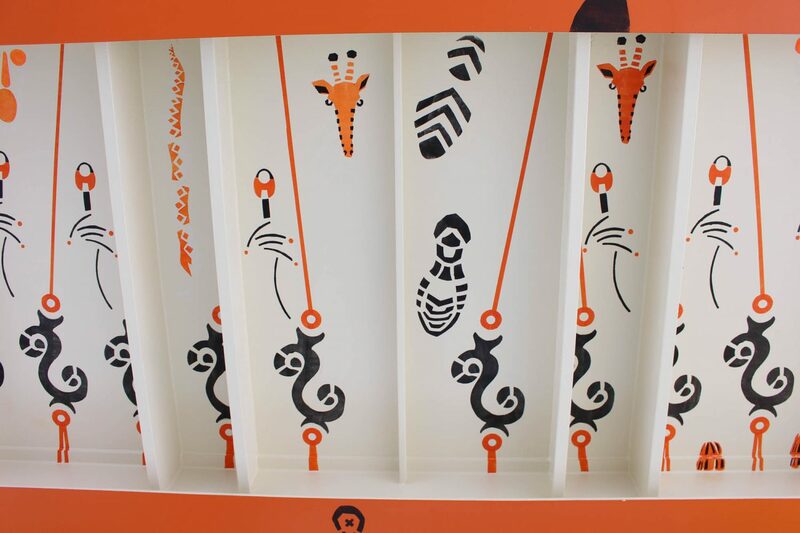 The visual concept, beginning on the underside and spilling up either flank of the bridge, is a family tree. 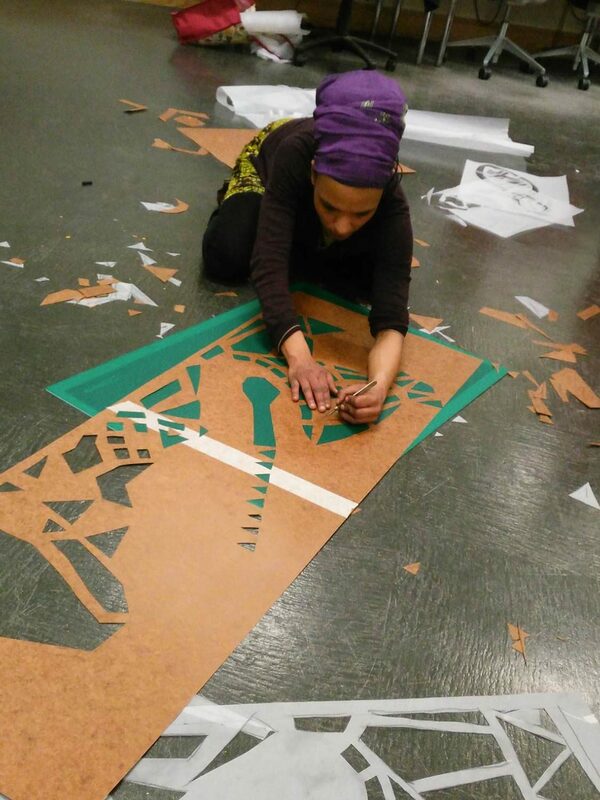 Inspired by the theory that all of mankind can be traced through mitochondrial DNA back to one woman in Africa. 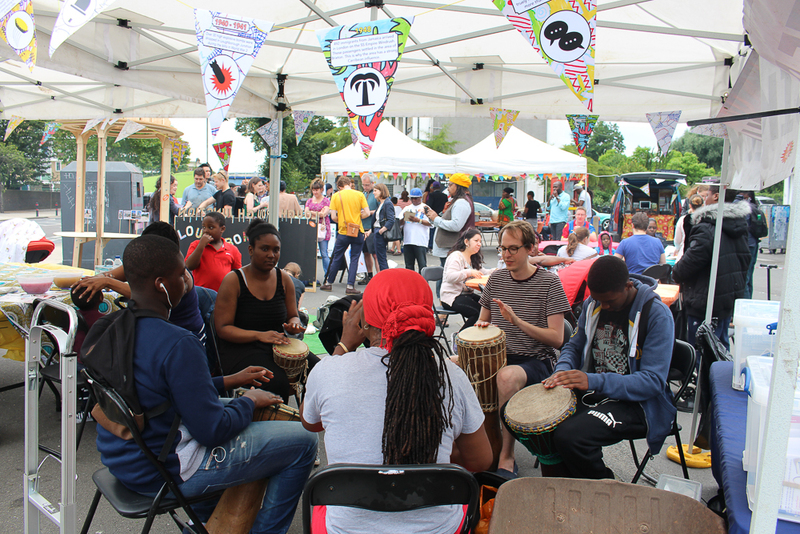 This theory may only come from one school of scientific thought, but we think it also reflects a wonderful, much needed, message that there is far more to unite us as humans than there is to divide us. 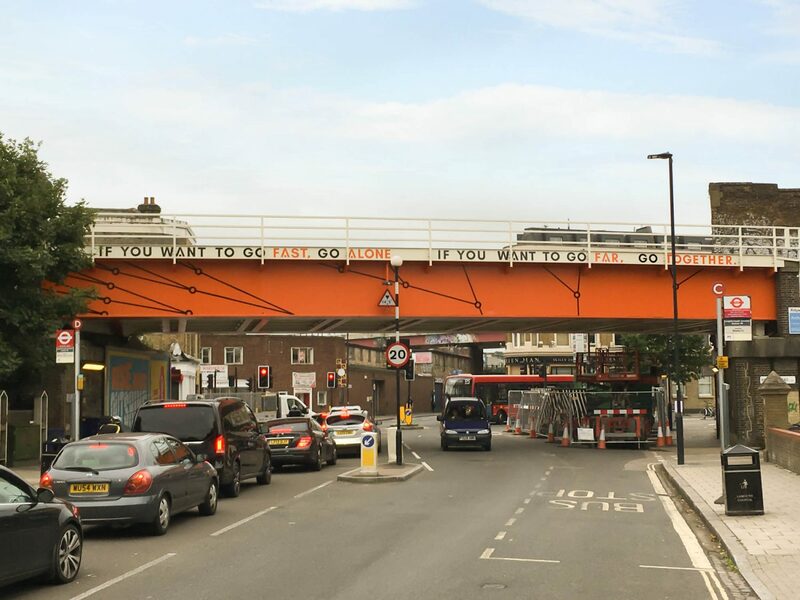 This message really reflects what we have tried to do in the area, and our work more generally; involving people might take a little longer but should bring people together, and create change that people feel happier about.